Don’t touch that cursor! You’ve arrived at THE information source for every Kitty Hawk, Kill Devil Hills and Nags Head hotels. 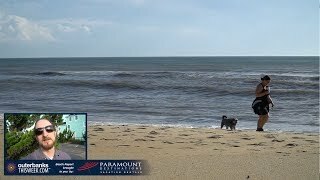 One thing to note first-off is that the moniker Nags Head is often used to describe the entire beach area made up of Nags Head, Kill Devil Hills and Kitty Hawk. And, in truth, visitors probably won’t realize when they’ve left one town and entered another — it’s all one long, navigable stretch. But from Nags Head hotels to hotels in Kitty Hawk, NC, you’ll discover that each of these individual towns and their accommodations boasts different personalities that differentiate them. Nags Head hotels sport only one national chain but are more abundant with long-loved, locally owned properties that have been welcoming families for decades. The list of Kill Devil Hills hotels includes the most national chains of any Outer Banks hotel list, but you’ll also find plenty of the treasured beachy motor inns that this area used to be known for that have been regularly upgraded and renovated. Hotels in Kitty Hawk, NC, are perhaps the most varied, with options ranging from a multi-story Hilton to several small motels to campgrounds and RV parks. One more note to help give you the down and out on the area: On this main stretch of middle Outer Banks beaches, from Kitty Hawk down to Nags Head, there are only two main roads that run north to south and parallel to each other. The vast majority of Nags Head hotels (as well as Kill Devil Hills hotels and hotels in Kitty Hawk, NC) are found on or between these two highways. The big five-lane road, aka Croatan Highway, aka U.S. Highway 158, is called the Bypass by locals. The other two-lane road, aka Virginia Dare Trail, aka N.C. Highway 12, is referred to as the Beach Road by those who live here. These simple names are just easier to remember! On this page, you can search by the specific town you’re interested in or you can navigate the categories for all accommodations within a specific criterion. So, for example, search Kill Devil Hills hotels, or if you’re only interested in bed and breakfast inns, narrow your search to that category on the above drop-down menu.